A team led by Francesco Maisano, co-director of the University Heart Center at the University Hospital Zurich (UHZ) and professor for Heart Surgery at the University of Zurich, made up of heart surgeons and cardiologists used new catheter technology to repair a leaky tricuspid valve for the very first time. Professor Francesco Maisano, MD, Director of the Department of Cardiac and Vascular Surgery at UHZ and full professor at the University of Zurich, was responsible for the first use of the Cardioband within Switzerland to repair a mitral valve. Now, along with his team, he has also succeeded in using it to repair a leaky tricuspid valve in a 75-year-old patient. The patient is in good health. The Cardioband serves as an innovative and low-impact method of repairing leaky mitral valves in the left atrium of the heart. It offers a minimally invasive alternative to open heart surgery. Francesco Maisano played a key role in the development of the Cardioband, which enables the tightening of a leaky valve annulus. During the procedure, the band is placed around the valve opening (the annulus) with the help of a catheter, secured with small anchors and tightened using a wire until the valve closes fully again. The tricuspid valve separates the right atrium of the heart from the right ventricle, preventing blood from flowing from the ventricle back into the atrium. Diseases of the tricuspid valve are much rarer than those of the mitral valve, its counterpart in the left half of the heart. A tricuspid insufficiency, where the valve fails to work properly, can lead to serious symptoms. The build-up of blood in the ventricle and the veins causes increased pressure on these organs. The result: water in the legs and abdomen, liver damage, and potential atrial fibrillation. With this intervention, developed at the UHZ — the first use of the Cardioband on the tricuspid valve — the University Heart Center Zurich is strengthening its reputation as a pioneer in the field of heart valve medicine. 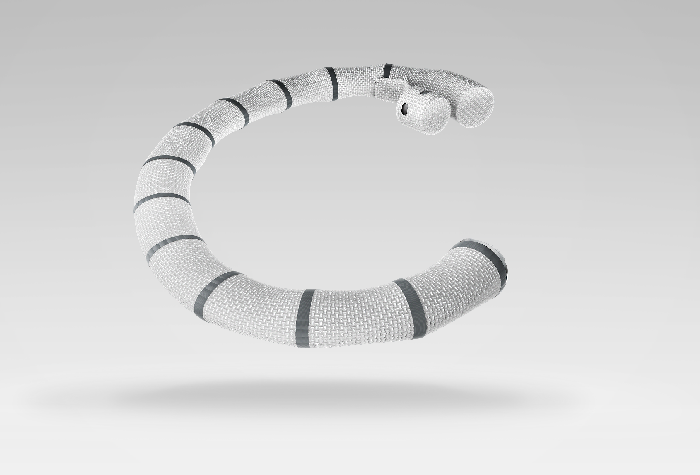 The UHZ is the only center in Switzerland to offer minimally invasive interventions with the Cardioband or the TriCinch (another minimally invasive method of repairing the tricuspid valve). The heart team, which includes surgeons and cardiologists, takes combination therapies — including other minimally invasive procedures (TAVI, MitraClip) — into account when deciding on the most low-impact treatment appropriate to the patient’s health. “Our philosophy at the University Hospital Zurich is to find an individual, simple and safe treatment for each patient, incorporating surgical and interventional methods where necessary,” says Francesco Maisano. Story Source: University of Zurich.